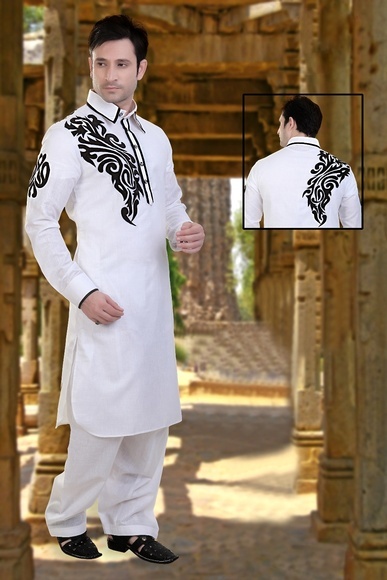 Pathani suits are among the famous Indian traditional wear which is known to be of Afghanistan origin. 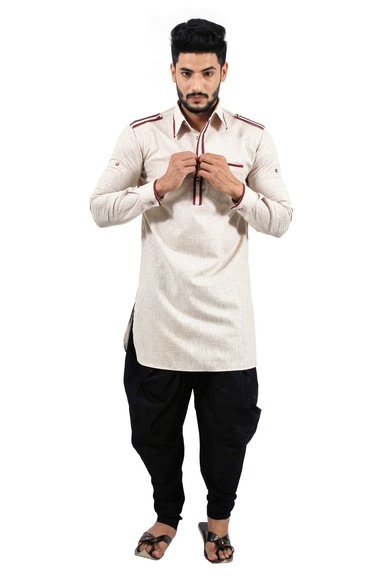 Since its inception, pathani suits for men went on to be a bold and defiant costume. 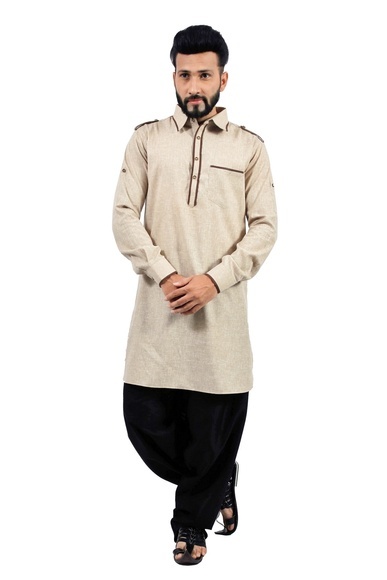 It gives a subtle masculine appeal and is worn as regular wear in the areas like Haryana, Punjab, Afghanistan, and Pakistan. 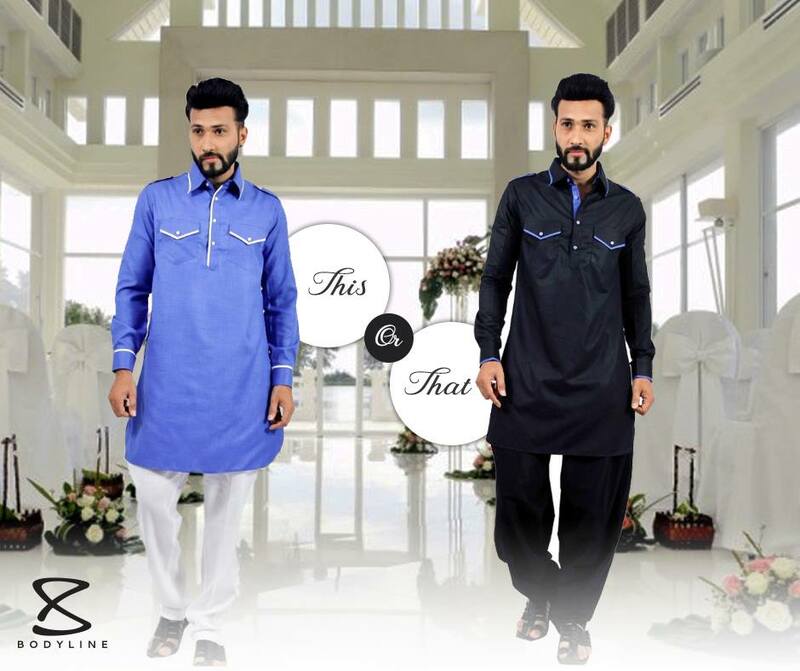 It’s been widely put on by Indian men on the occasions like Eid and Baisakhi. 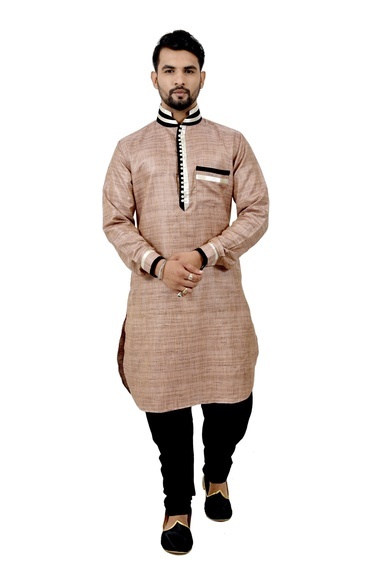 More than just traditional Indian attire, pathani suits have become a trendy and comfortable Indian wear that is donned by many men including celebrities and designers on various occasions. 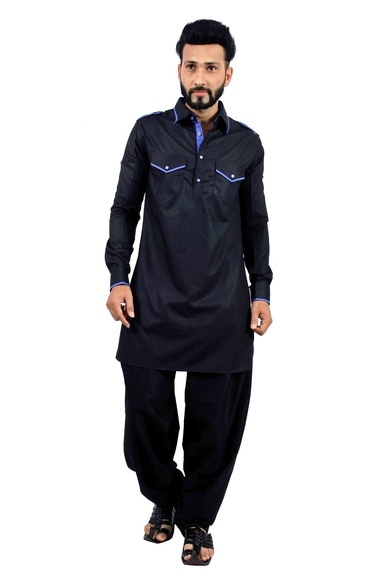 Traditionally, plain pathani kurta pajama of black, white, green, navy blue, and dark brown color are considered as gold standard in pathani suits for men. 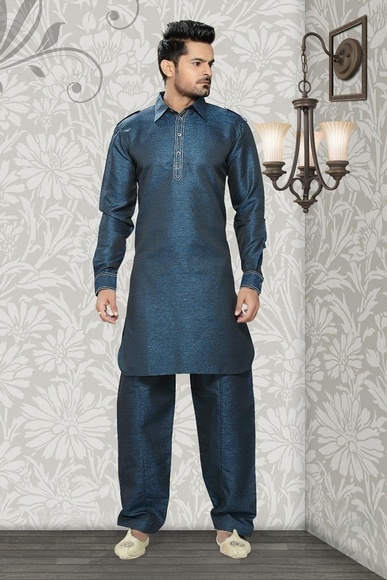 It gives a clever masculine appeal and exudes a taller appearance. 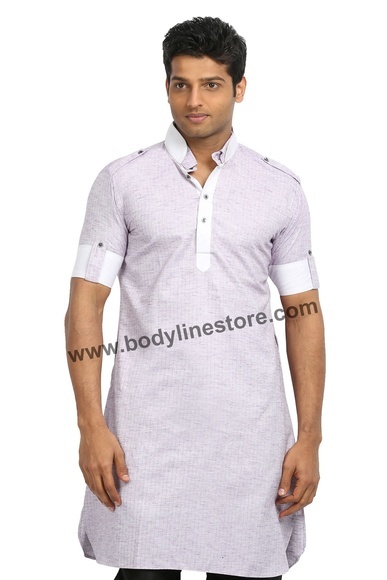 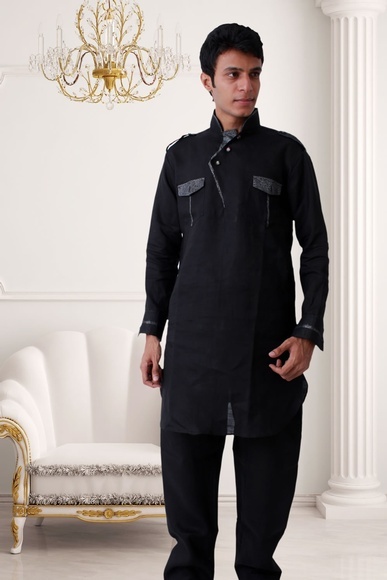 Investing in plain black and plain white pathani kurtas for men online never goes out of style. 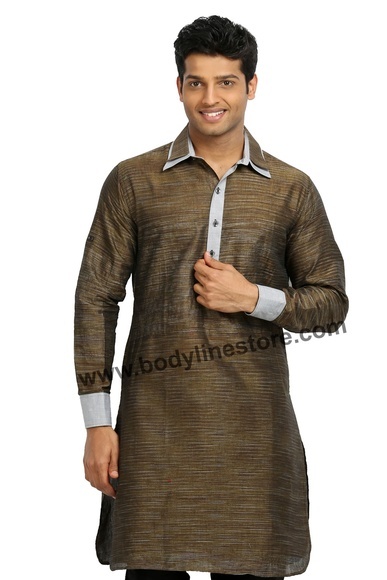 Moreover, you can create various ethnic as well as urbane looks with pathani kurtas. 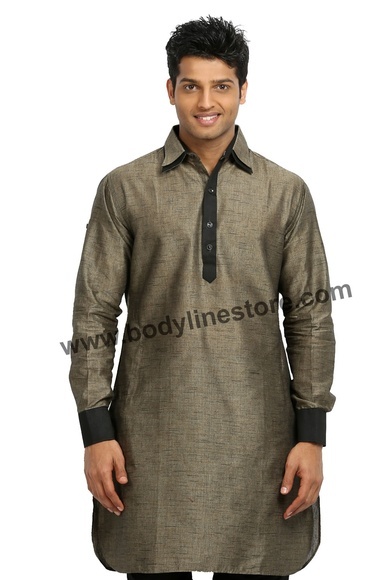 Plain pathani suits in dark colors like brown, black, olive green, burnt orange in cotton, linen or raw silk fabric helps you create a bold statement. 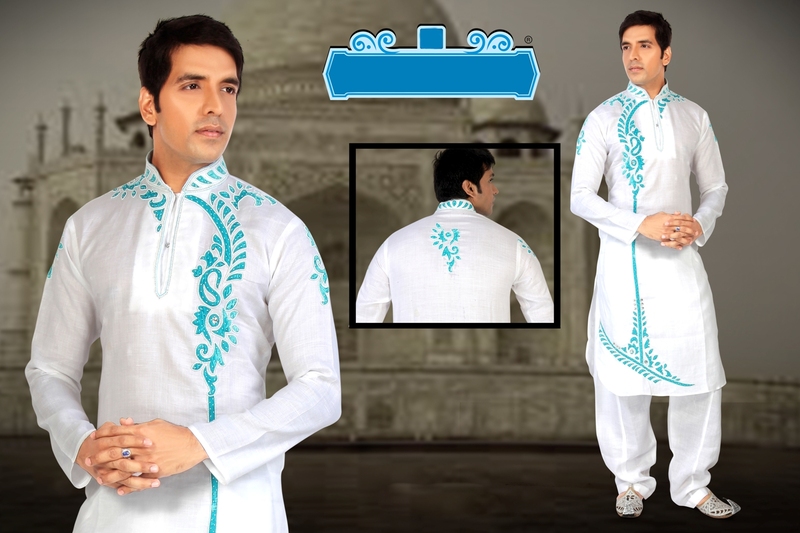 Apart from the usual plain dark tones, various vibrant tones like lemon yellow or aqua blue give a completely flamboyant look. 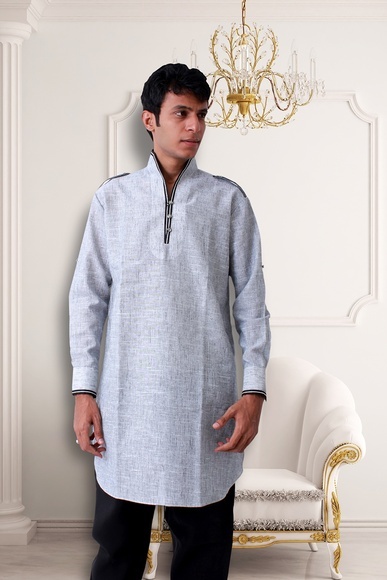 Also, you can go for embroidery, beads, broaches, cutwork, zardosi, and other embellishments for a complete ethnic look, as in the regular kurta pajamas. 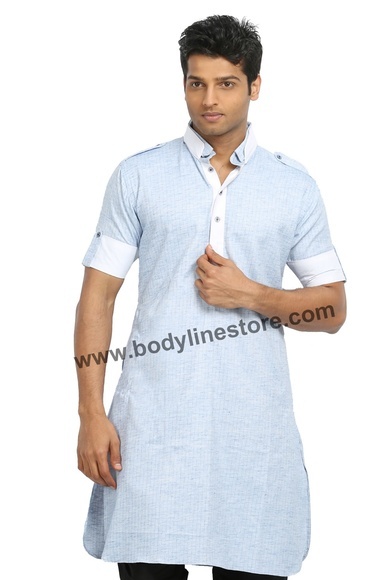 You can also choose from knee length and long length kurtas having different sleeves length and different neck-line, collar designs. 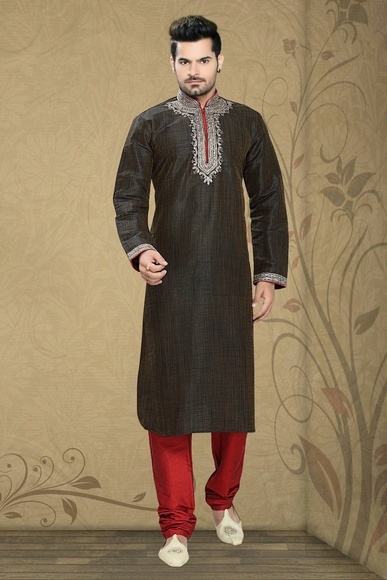 Traditionally, pathani kurtas are worn with salwar. 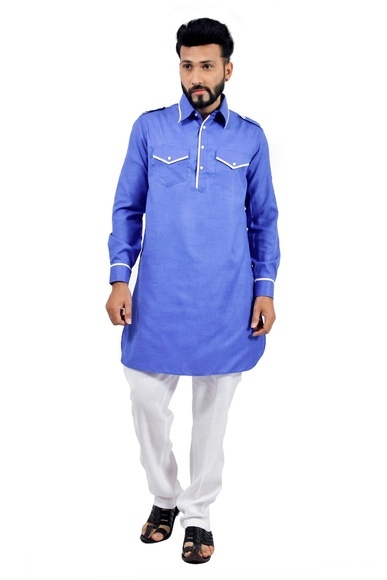 But you can create a fusion look by pairing these kurtas with denim, chinos, and churidars. 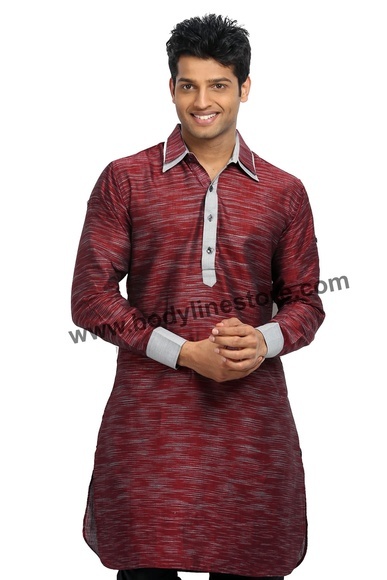 In order to complement pathani kurta pajama for men in the right way, you can consider layering it with blazers and jackets and accessorize with stoles or scarves. 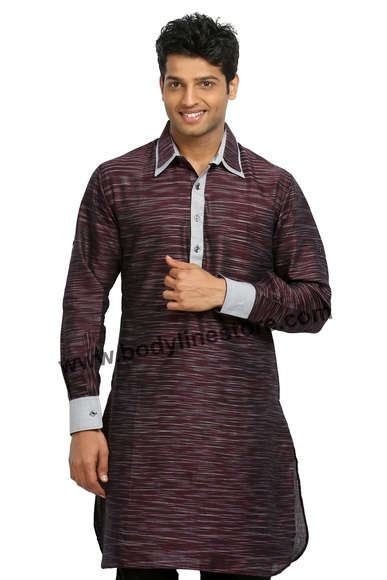 Choose the style you want to reflect – subtle, bold, macho, ethnic, flamboyant, or elegant. 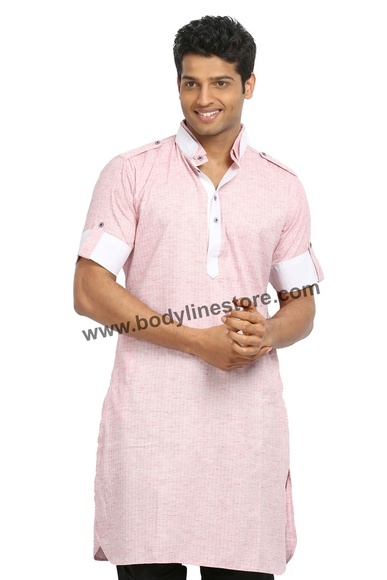 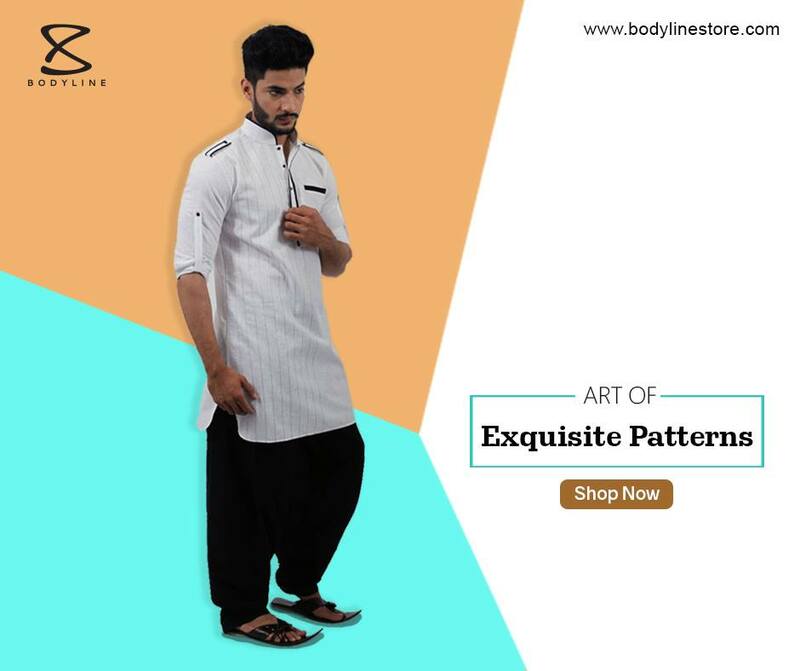 Bodyline Store has a plethora of options in pathani suits for men in regular and paneled and in different fabric and colors options to help you get a look you desire. 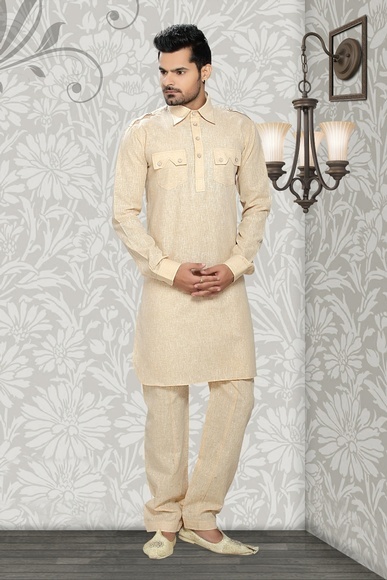 Clad yourself in this classic Indian outfit and embrace the deep-rooted aura that it reflects. 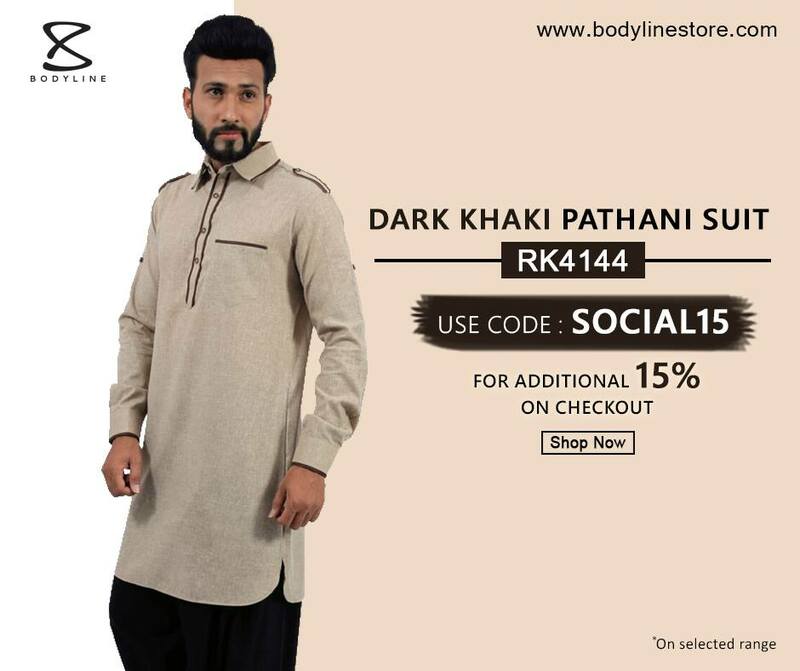 Copyright © 2012 - 2019 - Bodylinestore. 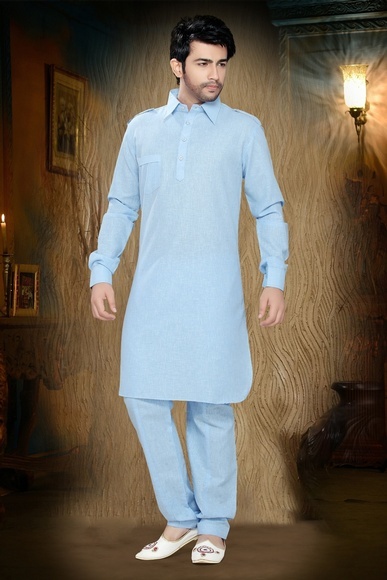 All rights reserved by SAI WORLD WIDE.